The new picture we see with culturally mature perspective reflects not just changes in what we think, or even just how we think, but in the very mechanisms of cognition. We can recognize these same changes, but in a highly circumscribed form, with second-half-of-life changes in personal development. With Cultural Maturity they manifest in a way that includes every aspect of our personal and collective experience. We can think of Cultural Maturity’s cognitive reorganization as a two-step process. Each step reflects not just change we might wish to occur, but change predicted by our developmental natures, and change we already witness. The first step in Cultural Maturity’s cognitive reordering involves a new kind of stepping back. It is this stepping back that brings culture’s past parental function into question. We become newly able to grasp the larger, more complete reality that an individual human and human culture together comprise. But the greater perspective this stepping back produces alters much more than just how we understand culture. It changes how we think about understanding itself. Indeed, in the end, it alters how understanding works. Stepping back to gain greater awareness is not new, but this is new—and fundamentally. Were this not so, we would not see reordering of the sort we do. Particularly important to recognize is how this stepping back is different fundamentally from what gave us as-viewed-from-a-balcony objectivity—the great gift of Age of Enlightenment understanding. What we see represents a more complete sort of stepping back. 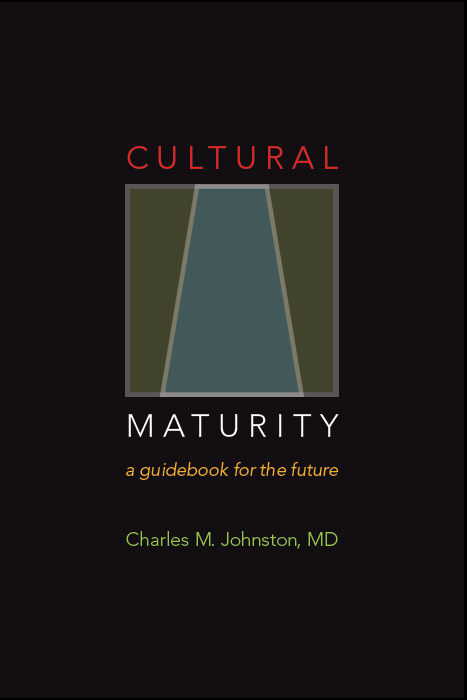 Cultural Maturity’s new vantage lets us step back from parts of who we are that always before have defied perspective. That we better step back from our projections and mythologizings is one piece of it. But there is also an aspect of this stepping back that provides particular insight for distinguishing it from Modern Age perspective. Cultural Maturity’s changes involve more fully stepping back from intelligence’s multiple aspects, including the more rational aspects that since the Age of Reason have reigned supreme. It reveals Enlightenment objectivity to be at best a specific and limited sort of objectivity. With Cultural Maturity, for the first time, we step back from the full complexity of our cognitive natures. The second step in Cultural Maturity’s cognitive reordering—one just as important and essential to grasp—produces an almost opposite result. Culturally mature perspective, along with this greater distancing, involves a new and deeper engagement with all that we step back from. Cultural Maturity’s cognitive reordering is simultaneously about a more expansive vantage for appreciating our complexity and a more full embodiment of who we are as complex beings. This second step is just as critical as the first. Without it, the more complete stepping back I’ve described would, in fact, not provide great practical benefit. We would still be without useful guidance. Greater awareness without this complementary greater depth of engagement leaves us wandering in a landscape in which truth is “an inch deep and a mile wide,” or worse, effectively random. We will need later reflections to fully see how this is the case. But this result represents a not unfamiliar circumstance in our contemporary world. The answer to the question of just what we connect with in this deeper engagement has multiple parts. One part: Cultural Maturity’s changes require that we reincorporate past projections and abandon the mythologized perceptions that have accompanied them. With such reincorporation we engage aspects of our complexity that we’ve not considered parts of ourselves at all (or that we have interpreted in distorted ways that protected us from their full implications if we did encounter them). A couple additional aspects of what we newly engage are ultimately just as important. At the same time we better step back from intelligence’s multiple aspects (not just rationality, but also cognition’s more emotional, imaginal, and bodily dimensions) we also engage the whole of understanding with a depth of embrace that before has not been possible. Intelligence’s new significance lies not just with greater awareness, but with the degree intelligence’s multiplicity becomes something we make real in our daily lives. This added piece is critical. We will see how our needed, more complete picture of complexity makes little sense without it. Cultural Maturity’s cognitive changes help us not just get our arm’s around, but embody the fullness of intelligence’s workings. There is also a further important piece essential to Cultural Maturity’s cognitive changes: We reengage aspects of experience that we knew intimately at earlier cultural times, but that we have since, for developmentally appropriate reasons, put at arm’s length. This additional piece is readily misunderstood and we must take care in teasing apart its implications, but it is needed for any of the others to make ultimate sense. We catch a glimpse of this last piece in how it manifests with our most recent cultural stage. 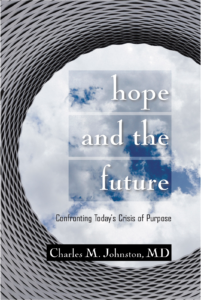 At first what takes place as we move beyond Modern Age cultural realities might seem less fundamentally new, rather something we necessarily do with each new “chapter” in culture’s story: we leave behind the defining beliefs of our most recent cultural stage. Today this means the Modern Age’s rationalist, materialist, objectivist, and individualist assumptions. But as we shall see, we in fact witness something fundamentally new, today, in this shedding process as well. Just how this is the case plays a key role in complexity’s new picture. Always before such passing from one age to the next relegated the previous worldview to ignorance (or worse). This time the task is different—more specifically integrative—a distinction with direct implications for more deeply engaging complexity. Beyond cultural maturity’s threshold, Modern Age sensibilities, rather than being forgotten, become part of a larger multiplicity of perspective. We recognize them as aspects of the needed, more whole-ball-of-wax understanding. We will see how something similar applies to truths of times past more generally. It is important to appreciate that this various pieces are not in the end separate. They come together to produce the more conscious, integrated, and complete relationship with our complex inner makeup that makes possible Cultural Maturity’s increasingly nuanced and complete understandings.